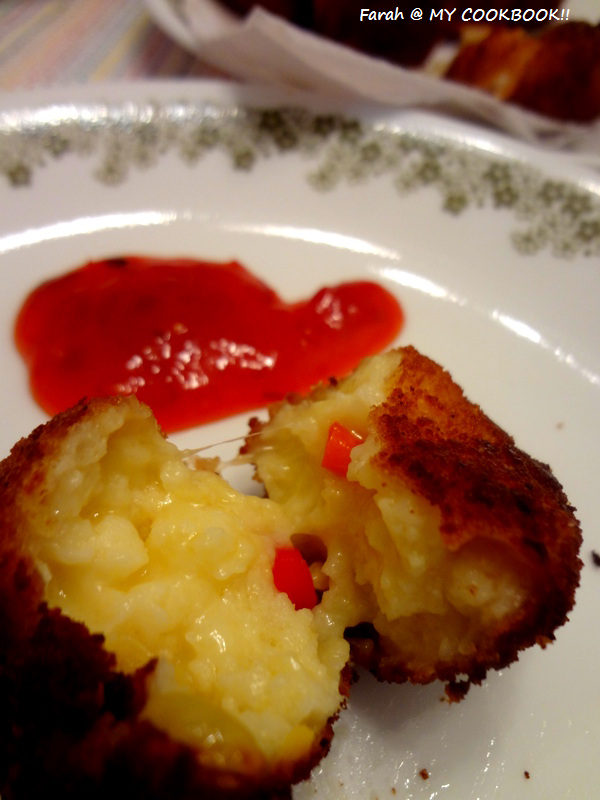 A very excited me is posting this recipe from veenas blog an hour after eating these yummy corn cheese balls. Its my entry for the very famous blog hop wednesdays hosted by Radhika!! Our holy month of Ramadhan has begun....and has already made its way to the middle!! Went out for Raya shopping today. The streets of Masjid India in Kuala Lumpur was packed with people, big and small all shopping....shopping ...shopping!!!!!! Who would have thought it would be so crowded on a hot wednesday afternoon!!!!!!! Quickly finished my shopping and headed back home! Well....all that shopping has made me hungry!. 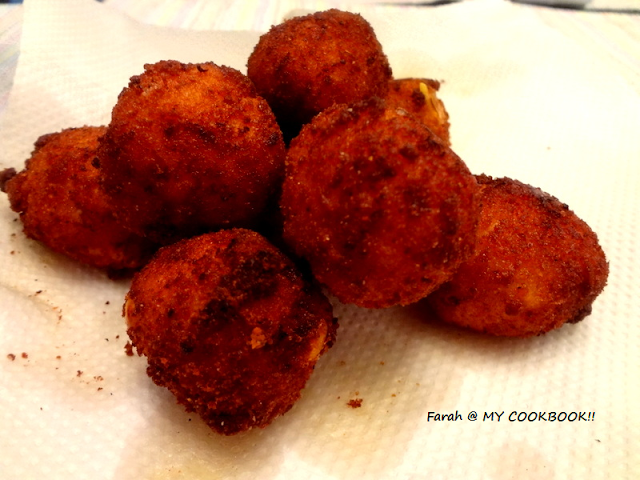 Decided to make the corn cheese balls from veenas blog who happens to be my partner for this months blog hop wednesday. 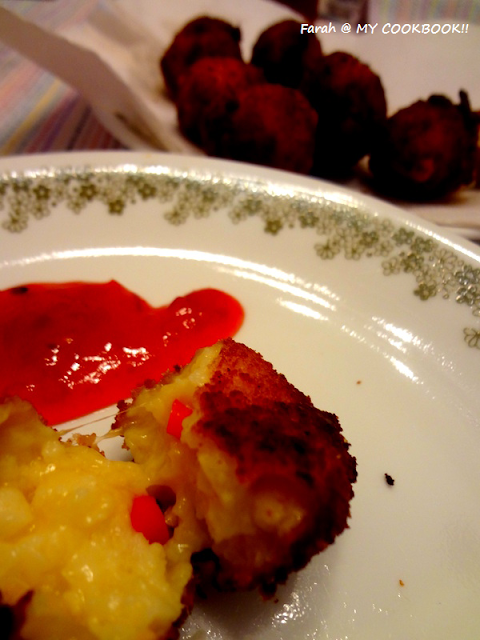 I went through her blog for the first time last week and picked this recipe because .................who does'nt like deep fried food after starving the whole day???!!!..........wink! After it cools completely add the corn, chillies and cheese. Mix well. It should not be watery at all. dip the balls in the dipping batter and roll them in the breadcrumbs. Arrange on a plate and refrigerate atleast 10 mins to make it more crispy. Looks so tempting.. Awesome snack..